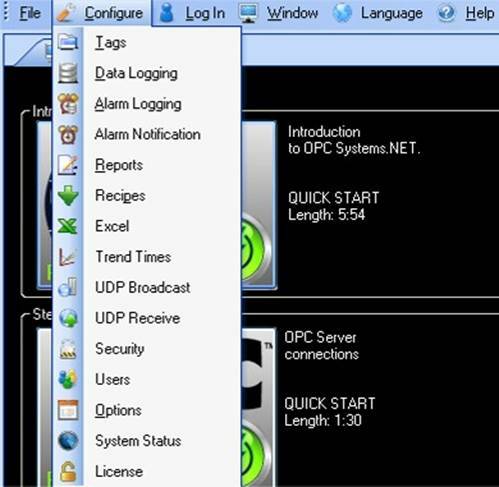 Use Configure OPC Alarms and Events to setup OPC Alarm and Events Servers as an alarm source for Open Automation Software Alarms. Configure – Alarm Logging: Opens a new window for modifying alarm logging. Configure – Alarm Notification: Opens a new window for modifying alarm notification.